Below you will find a small selection of photos showing some of the fun, exciting things we have been doing and learning about in Reception this school year. 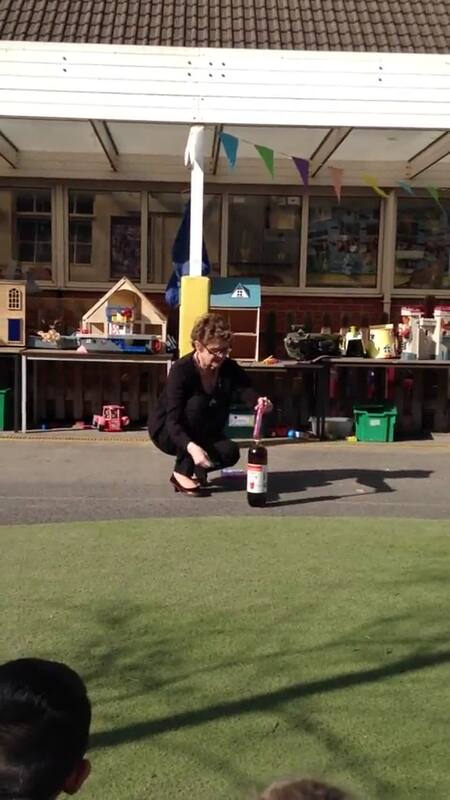 Science experiments - volcano explosions in the playground using cola and mentos! PE - having fun checking out the gymn apparatus! Meeting a guide dog puppy in training. Learning and exploring every day!